#bedtimestories is a feature in which writers reminisce about their favourite work of children’s literature they read or had read to them as a child and why it remains so important to them today. What were your favourite bedtime stories? Let us know in the comment section below. Fortunately, The Very Hungry Caterpillar didn’t fall under that category. There were no protests of indignation when I plucked it from my overflowing bookshelves; reading it again as an adult (allegedly) I can see why. It’s a lovely, simple little book; the repetition of the sentence structure delights a new reader and comforts the more experienced. And the pictures! The pictures are just mesmerizing. The drawings that our little green caterpillar crawls through must be many children’s first introduction to ‘proper’ art: those chunky brush strokes have such a satisfying quality, and the vivid colours are enthralling. As a child I couldn’t look away. 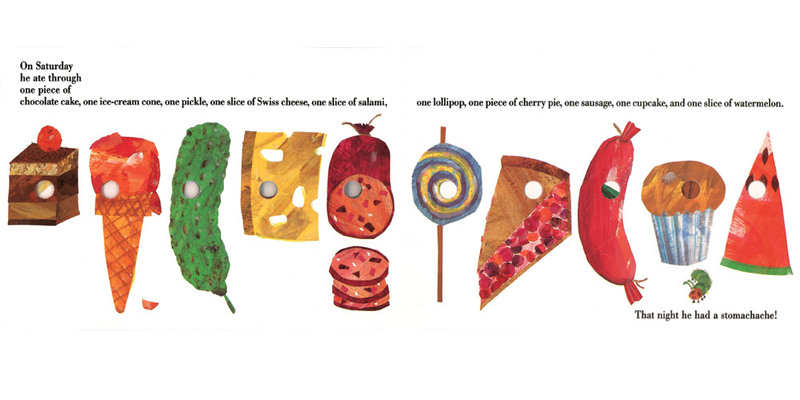 Through bite-sized sentences and gorgeous illustrations we experience the very hungry caterpillar’s journey through food, like scrolling through a gap year student’s Instagram. At bedtime, my parents would read the first part of the repeated sentences, “On Monday he ate through one apple… On Tuesday he ate through two pears… On Wednesday he ate through three plums…” allowing me to excitedly complete them with, “BUT HE WAS STILL HUNGRY!” Caterpillar, at a certain time of the month, I feel you bro. And don’t get me started on the two pages of junk food that the caterpillar gets to eat. 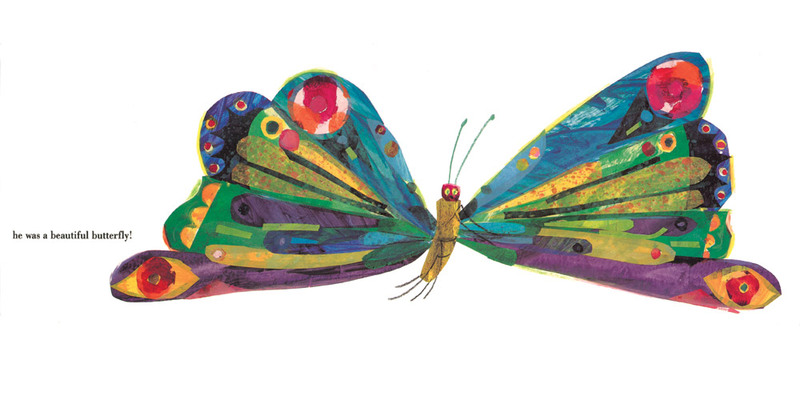 Even though the calorie count of “one piece of chocolate cake, one ice-cream cone, one pickle, one slice of Swiss cheese” must be way over a caterpillar’s guideline daily amounts, Eric Carle decides it’s fine, because the hungry caterpillar only eats “one nice green leaf” on a Sunday. Didn’t the Kardashians endorse that diet at one point? When you think about it, for all its simplicity and image-driven narrative, The Very Hungry Caterpillar is quite a poignant story really. I can imagine it being pretty emotional for a parent to read that to their child, detailing as it does the caterpillar’s journey from egg to adulthood. It must be reassuring to learn that after his cocoon phase (which I’m reading as a teenager’s I’m-not-leaving-my-room phase), the caterpillar turns into a very beautiful butterfly. Seriously, have you seen the wings on that guy? They’re fabulous. My parents read to my every night when I was little. Bedtime stories were special, and I loved every story my mum and dad sat down with me to read, but The Very Hungry Caterpillar will always hold a special place in my heart. It was one of the first books I ever had read to me, and for probably longer than was appropriate, I kept returning to it, eventually reading it aloud myself. There’s no doubt that without being read to night after night, I wouldn’t have the same passion for literature that I’ve taken with me from childhood. Like the caterpillar, I was hungry for books, and luckily, as a sort-of-grown-up, I still am. I read this article and found it very interesting, thought it might be something for you. 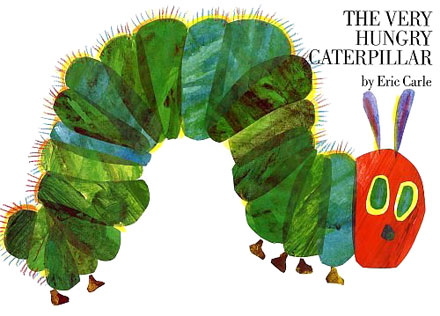 The article is called The Very Hungry Caterpillar – #bedtimestories and is located at http://prancingthroughlife.com/2014/02/12/the-very-hungry-caterpillar-bedtimestories/.